JTOTHEC (pronounced: Jay to the Cee) is Jonas Casier. With a home studio stuffed with vintage gear, a funky mind, his radiant smile and a truckload of talent, JTOTHEC - and his fantastic band - is ready to unleash his amazing Power Funk on you and the rest of the world. The scratch skills of young turntablist JTOTHEC do not go unnoticed during jam sessions. Before long he joins DJ Grazzhoppa’s DJ Bigband, performing at such festivals as Roskilde (DK), Electric Picnic (IE), Lowlands (NL) and Jazz Middelheim (BE). During this period he collaborated with Stijn, Laurent Blondiau, Mo&Grazz, Bart Maris, Jeff Neve, AKA Moon and many others. He also worked on albums by Kid Sublime (NL) and Billy Palmier. By 2010, Jay formed JtotheC & The Bad Mothas with Peter Lesage on keys, his debut single ‘Nono’ was released by On-Point Records (Brussels). Nono allowed JTOTHEC to play scores of concerts and festivals (a.o. 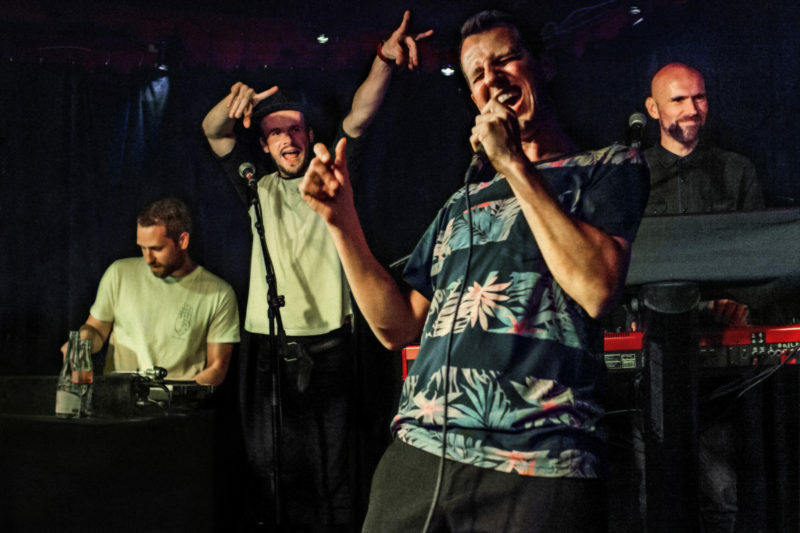 Deep In The Woods, Polé Polé, Bruksellive), opening for Selah Sue and Aloe Blacc, making a lasting impression on both the audience and industry professionals. In addition to collaborations with the Brussels Philharmonic Orchestra - at the Courtrai Design Biennale Interieur and in Flagey (a.o. with Témé Tan) - and composing a soundtrack for a solo theatre performance by Arnaud Rogard, he releases a highly acclaimed EP in 2013 with DJ SNS (nowadays Brihang’s partner in crime) under the moniker The Essence. With Brihang himself, he records the track ‘Ik Wil Allesbehalve’ in his home studio in Kuurne in 2016. He also collaborates with the likes of hiphop band Ntrek, Incksalonius (US) and Malik Crumpler (US). Meanwhile JTOTHEC works on his own tracks and records his debut album in the GreenHouse Studio in Beaumont (February 2018 release on Mayway Records). With Peter Lesage (Moiano, Gabriel Rios, Flip Kowlier, Ertebrekers), Jeffrey Jefferson (Ertebrekers) and DJ SNS (Brihang) he also puts together an awesome live band.